I was reading a review this morning of the new movie “Jobs,” an account of Steve Jobs’ career. Now I’m a Mac guy and a big fan of Jobs, but even his biggest fans would acknowledge that he was a genius with very serious personal flaws. This review brought it all back. when things didn’t go exactly his way. He could be utterly cold-hearted and cruel to people, almost sadistic, and take pride in his behavior as if it were a character strength. He was a demanding perfectionist whom Fortune Magazine once dubbed “one of Silicon Valley’s leading egomaniacs.” At night, he would go home to his wife of 20+ years, Laurene, and his three kids in Palo Alto. I’m not aware of any similar discord at home, but then I haven’t yet read his book. That might explain any inconsistencies in his behavior at home and at work. 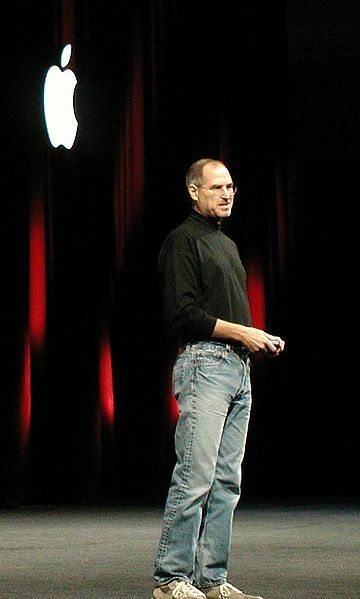 A Google search led me to the blog, childmyths, which raised the question about Steve Jobs’ difficult personality and its attribution to his early abandonment and adoption. On October 26, 2011, New York Times columnist Maureen Dowd wrote about Jobs in “Limits Of Magical Thinking”. She didn’t necessarily claim that Jobs’ behavior was rooted in his adoption history, but quoted others close to him who thought it was. John Brooks is a former senior media financial executive who has turned to writing, suicide and adoption advocacy since his adopted daughter Casey’s death in 2008. He recently completed a memoir — The Girl Behind The Door: My Journey Into The Mysteries Of Attachment — about his experience as an adoptive father and his journey to understand his daughter’s suicide. He also writes a blog, ParentingandAttachment.com. While I do think that Jobs had a personality or, more likely, a mood disorder, I do not believe that it was Attachment Disorder. I was married to a man who spent the first (formative) four years of his life with a relative before being returned to his mother. He had attachment issues. He did not hug spontaneously, he did not throw the temper tantrums that Jobs is so famous for quite the opposite, he was so unattached I doubt he felt anything passionately enough to get excited about. He was incapable of showing love through any kind of action or word. He expressed his “love” through Hallmark. He never once said “I love you” to me, his son, or anyone else that was important to him. He was remarkably skilled at removing himself from your life if he was was tired of you. I watched him do it to his son (who continued to try to develop a relationship with him), and he did it to me. Needless to say, we are now divorced because his basic personality was simply cold. He did a fair to middling job of acting “normal” but there was nothing at his core except cold. 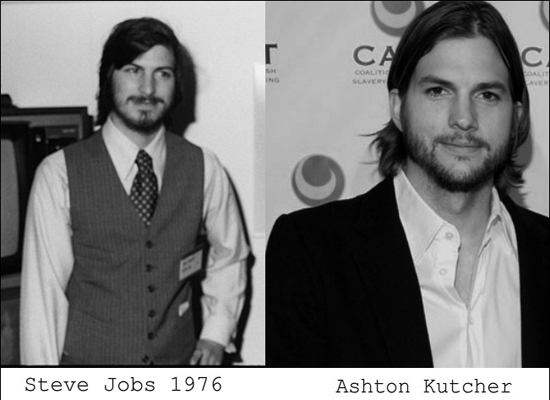 Jobs was a genius on many levels, I just do not think that attachment disorder fits. I am going with some form of mood or anxiety disorder which could just as easily arise out of his being adopted. Many adopted children never develop any form of mental illness. However, there is inherent madness of a form in people who are that intelligent. Thanks. You could well be right. I use attachment disorder pretty broadly and sometimes it could be intertwined with other types of mood and behavioral disorders. I was adopted at birth. I do not have attachment disorders. This is not denial, this is what comes of being raised fully aware that I was adopted and that I was my parents (those who adopted me) child. As Jobs said, my biologicals were a sperm and egg bank. Nothing more. I am grateful, and in contact with my birth mother (birth father deceased). I do not feel abandonment. It was not a “primary wound” and as you were not adopted yourself, I am mildly affronted at your generalization that we all feel this way. Some may. Especially those who, unlike myself, have closed adoptions. I am grateful I was adopted by the people who adopted me, I am grateful I was adopted at all. Everyone deals with being adopted differently. Some do have attachment disorders. I do not believe Steve Jobs was one of these. As a gifted child, which all evidence points towards, he would have been in desperate need to feel challenged. I was a gifted child. I understand this need, even today as a college student. We can be pissy and temperamental, quick to frustration which leads to anger, and yes, prideful. These go along with being gifted in a world that forces mediocrity. Jobs’ issues had nothing to do with being adopted. If anything, they had to do with looking at the world and not liking how his future looked–someone whose mind worked better, pushed in with everyone else because that’s how life is supposed to be. Perfect family, 2.5 children, a dog, a minivan, a cubicle or a corner office, perfect white fences around perfect happy households…. For someone like me, who was the typical gifted child, this is terrifying. I don’t want that perfect cookie cutter ideal and I think Jobs was the same. Now, I’m merely majoring in Englisha s opposed to dropping out of Reed. Still. I won’t ever have a corner office or a minivan. I won’t be Steve Jobs tripping on LSD and getting ahead in tech. And that has nothing to do with being gorram adopted. I’m sorry if this is rambly but it is late here. People don’t develop attachment disorders when they are adopted at birth. They have a normal attachment to their adoptive parents – otherwise people would shy away from adoption. In older children who lived in orphanages for much of their earlier years, or lived with addicted toxic parents, then adopted, attachment disorder is a significant concern, but not in adoption at birth. More likely is that he was extremely intelligent, and raised as an only child who later admitted he could push his parents around and get whatever he wanted, he likely developed a malignant personality disorder. I don’t get the impression that Laurene was spared from these tirades – not necessarily directed at her but in her presence. Just typical “Little Prince” syndrome. I respectfully could not disagree with you more on your assertion that “people don’t develop attachment disorders when they are adopted at birth.” It’s that primary wound, the abandonment, whether you were rescued at birth or later. But you are right, the longer children are institutionalized the greater the risk. As for Jobs, my piece was pure speculation, so who knows. The Little Prince syndrome could have played a roll too. I agree with Hawaii. Attachment occurs because of a separation from the primary caregiver upon which a child had formed an attachment, or where their needs from this caregiver are not being met – through neglect or abuse. If he was adopted at the point of birth, and handed directly to supportive and positive parents with good parenting skills, his attachment issues would not have arisen from the fact that genetically he was different. There would have been no separation from a caregiver he already had a bond with, nor any neglect or abuse or avoidance of needs, as his parents immediately fulfilled this role. I don’t like the idea of personality disorders, I fear labels I guess. But I do agree that his personality traits do not arise from an attachment disorder but rather an extreme level of intelligence and probably learning early on he could walk all over many people around him. Perhaps but that doesn’t explain why even people adopted from birth also have attachment issues. It’s pretty well documented by the experts.